February has been an eventful month. This month usually spells love for me... all types of love, and I think that was reflected in most of my posts, reads, and reviews in February. Whether the books were good old contemporary romance with a happily ever after, a poetry collection about love found and loss, or a story about a dysfunctional family whose love was nevertheless fierce and all encompassing, love was at the center. I read few books though, and that was basically due to my obsessive poetry reading. 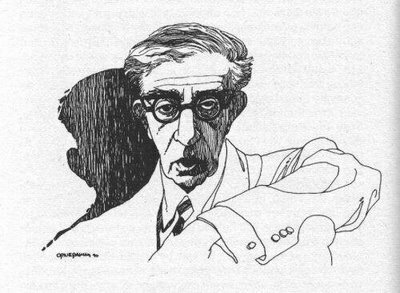 Highlighted this month were two poems by the poet Konstantinos P. Kavafis or C. P. Cavafy (the English translation of his name). I was introduced to this poet by one of my brothers who happens to love Kavifis' poetry and I must thank him for the introduction. We now share the love. I was inspired to read Kavafis' poetry while reading He Will Laugh by the gay poet Douglas Ray. 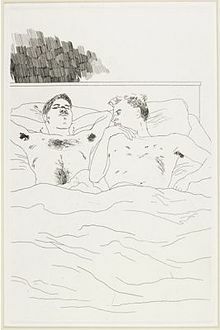 There's a bit of buzz going on about poetry within the LGBT community. I reviewed two LGBT poetry books this month which is unusual, and have seen the increase in published collections. An interesting development. Yes? You'll ask, how does that tie in with Kavafis? Well, we all know about Oscar Wilde, and (as I found out in another site) not everyone knows about Walt Whitman, but did you know that Kostantinos P. Kavafis is considered one of the early modern authors to write openly about homosexuality? Konstantinos P. Kavafis (April 29, 1863 to April 29, 1933) was born in Alexandria, Egypt of Greek parents. Although Kavafis was Greek, he lived in Alexandria most of his life and didn't write most of his most acclaimed poetry until he was in his 40's. His poetry is considered Hellenistic, and although history can be found sprinkled throughout the core of his poetry, for many the allure of Kavafis' poetry really lies in the direct and open way in which he portrays sensual pleasures, his prosaic use of metaphors and the repeated use of themes such as the uncertainty of life and/or the future, and that fatalistic nostalgia that just seems to pour out of some of his works. Two of his most important poems are "Waiting for the Barbarians" (1904) and "Ithaca" (1911). However, for purposes of this post I will be highlighting two additional poems that, like the ones I've already posted -- "Days of 1903" and "I've Looked So Much" -- exemplify the poet's sensual style, usually leaden with nostalgia for youthful encounters or loves found and lost, all of them unmistakably homosexual. was the cheapest we could find. of the workmen at their card-games. in this lonely house... I’m drunk with them again. 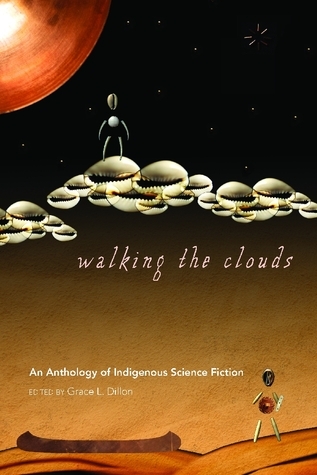 In this first-ever anthology of Indigenous science fiction Grace Dillon collects some of the finest examples of the craft with contributions by Native American, First Nations, Aboriginal Australian, and New Zealand Maori authors. The collection includes seminal authors such as Gerald Vizenor, historically important contributions often categorized as "magical realism" by authors like Leslie Marmon Silko and Sherman Alexie, and authors more recognizable to science fiction fans like William Sanders and Stephen Graham Jones. That's it for February, it was a month of poetry and love. Next I will be summarizing my reads and posts for the 2012 Science Fiction Experience. However, please know that my computer at home crashed again! So unless I can somehow repair it this weekend, this will be my last post for a couple of days. How was your February? Any great reads? I'm not a poetry fan persay, but I loved what you posted. I hope it was good reading for you. Walking the Clouds sounds interesting. I'll have to add it to my to read list. 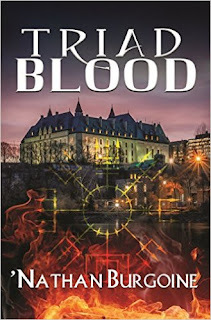 In February I found a new to me author that I really like - Patrick Lee. So far I've read the first two books in his trilogy and really enjoyed them. 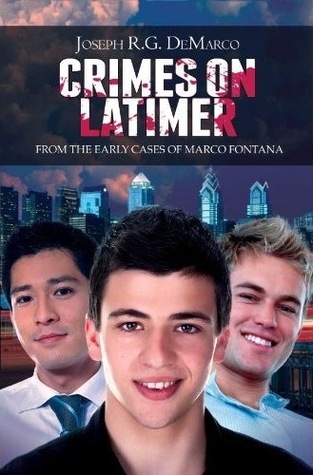 Hope to get the reviews up this week. Leslie, Walking the Clouds IS quite interesting so far. I think I ended up with one more read than you, Hils. I don't know, February seemed slow and fast at the end same time. Just very uneven. Nath, I read some good books! That DNF was the first book I tried to read for the TBR Challenge. :( Unfortunately, it wasn't for me.